Edward Burne-Jones, Laus Veneris, 1873-78. Oil painting on canvas. Laing Art Gallery (Tyne & Wear Archies & Museums). Edward Burne-Jones charts his rise from an outsider of British art to one of the great artists of the European fin de siècle. 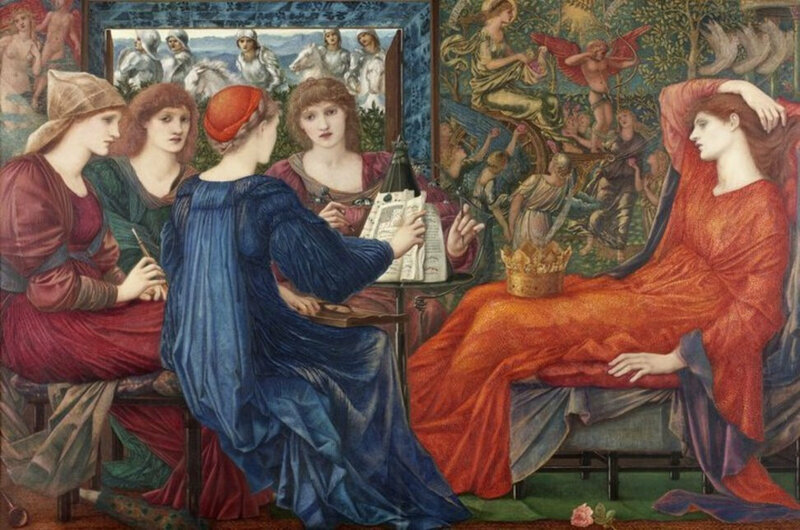 Burne-Jones rejected Victorian industrial ideals, offering an enchanted parallel universe inhabited by beautiful and melancholy beings. 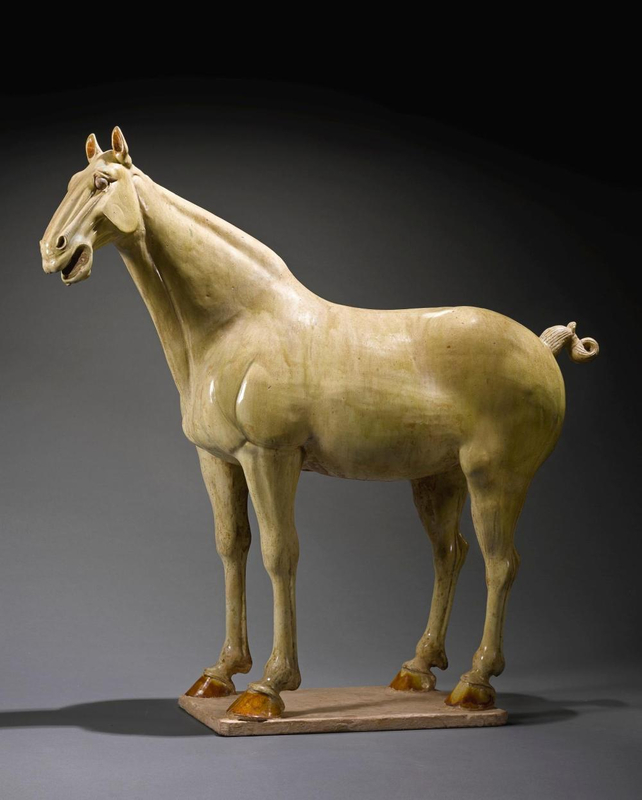 The exhibition brings together all the major works from across his four-decade career, depicting Arthurian knights, Classical heroes and Biblical angels. Spectacular large-scale paintings like Love among the Ruins 1870-73 and The Wheel of Fortune 1883 will show his international impact, including at the 1889 Exposition Universelle when he emerged on the world stage as the leading light of symbolist art. Two rooms dedicated to the artist’s most famous narrative cycles are shown together for the first time. These huge canvases are among his finest and best-loved works, telling the action-packed story of Perseus and the dreamlike fairy tale of Sleeping Beauty. 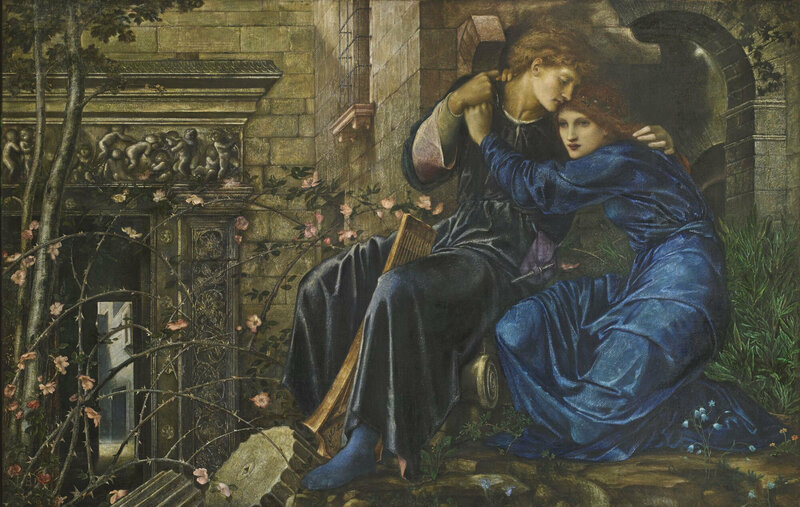 Sir Edward Coley Burne-Jones, Love among the Ruins, 1870-1873, Private Collection. Sir Edward Coley Burne-Jones, The Wheel of Fortune, 1883 Musée d'Orsay, Paris. 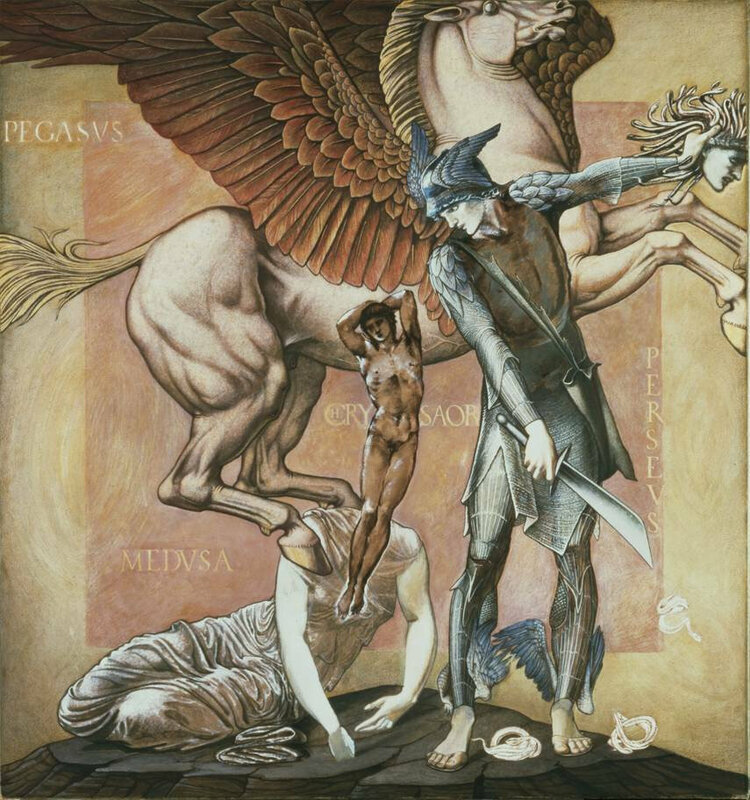 Burne-Jones’s lack of formal training in fine art allowed him to develop a distinct and highly idiosyncratic approach to painting that bridged the fine and decorative arts. The exhibition opens with a focus on his early career, highlighting his work as a church decorator. Striking examples of stained glass such as The Good Shepherd 1857-61 are presented alongside The Adoration of the Magi 1861, a large-scale altarpiece created for the church of St Paul’s in Brighton. Considered one of the greatest draughtsmen of the 19th century, Burne-Jones’s remarkable drawings such as Desiderium 1873 are also showcased to demonstrate his sensitive and personal response to Renaissance Old Masters. Familiar faces populate Burne-Jones’s otherwise imaginary worlds, drawn from the artist’s intimate circle of family and friends. Several of these figures feature in a section of the exhibition highlighting Burne-Jones’s unique approach to portraiture. His paintings of Amy Gaskell 1893 and Lady Windsor 1893-95 stand in contrast to the fashionable society portraits of the day, presenting idealised likenesses with stark minimal compositions and a restrained colour palette. 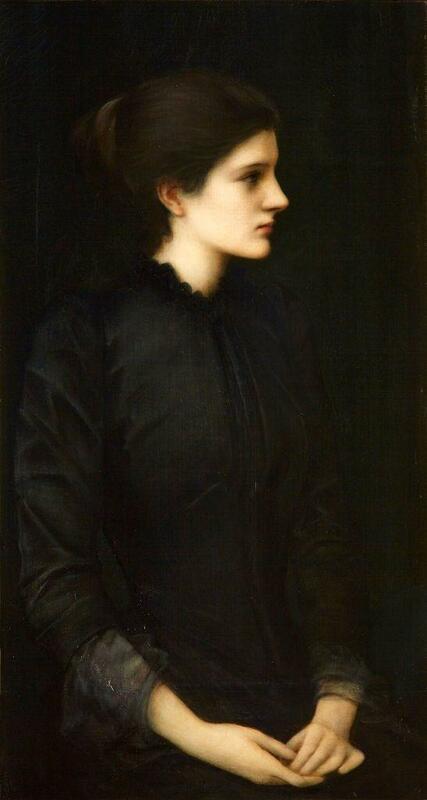 Sir Edward Burne-Jones, Portrait of Amy Gaskell. 1893. Private Collection. 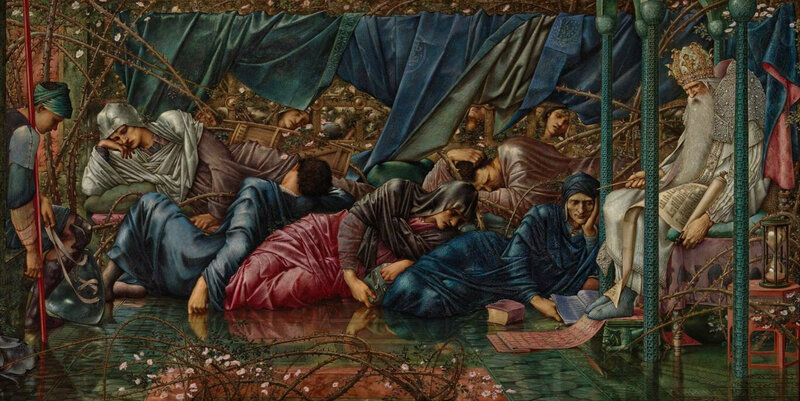 Tate Britain also explores the key role of the decorative arts in Burne-Jones’s career, including his long working relationship with William Morris. 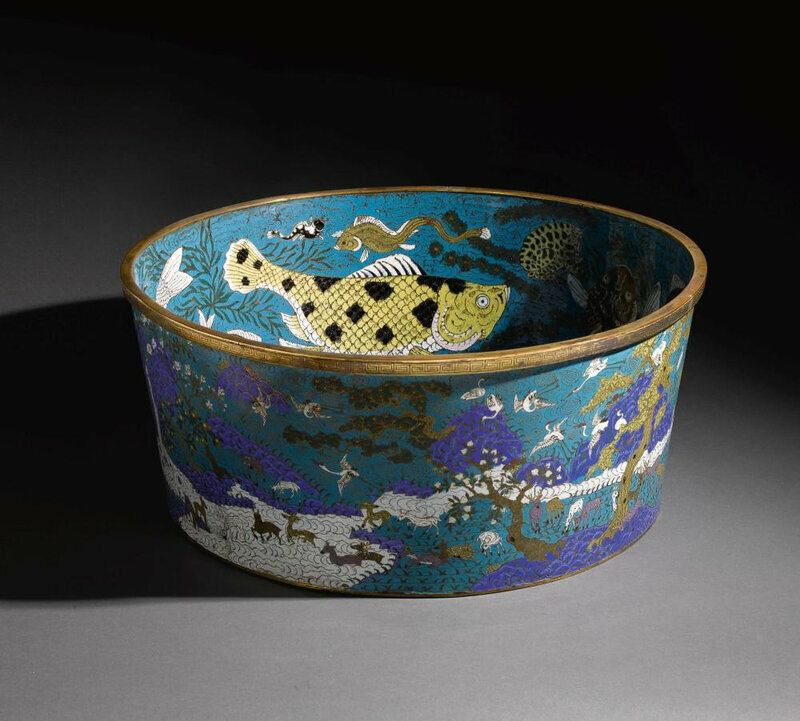 Both men were committed to social reform and intended their collaborative work to reach a broad audience through beauty of design and execution. 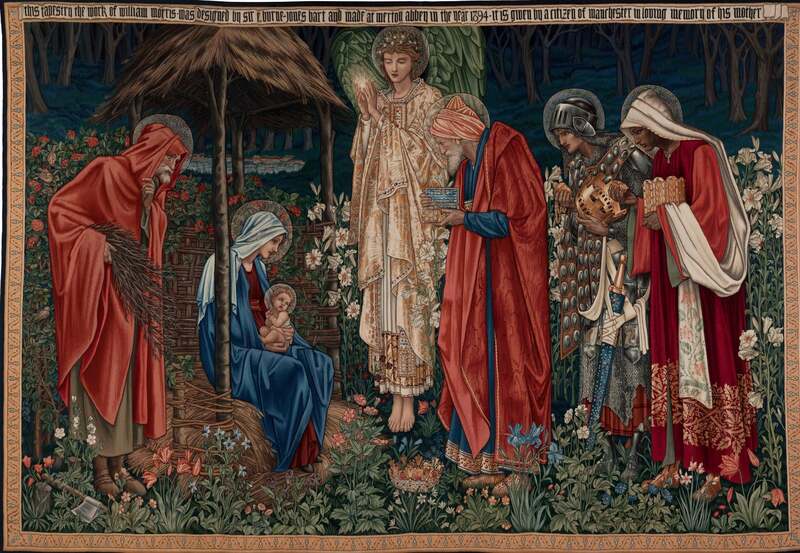 The dazzling Graham Piano 1879-80 is displayed alongside embroideries, illustrated books and spectacular large-scale tapestries like The Arming and Departure of the Knights of the Round Table on the Quest for the Holy Grail 1890-1894 and Adoration of the Magi 1894. Sir Edward Burne-Jones, Adoration of the Magi, 1894, Manchester Metropolitan University Special Collections. 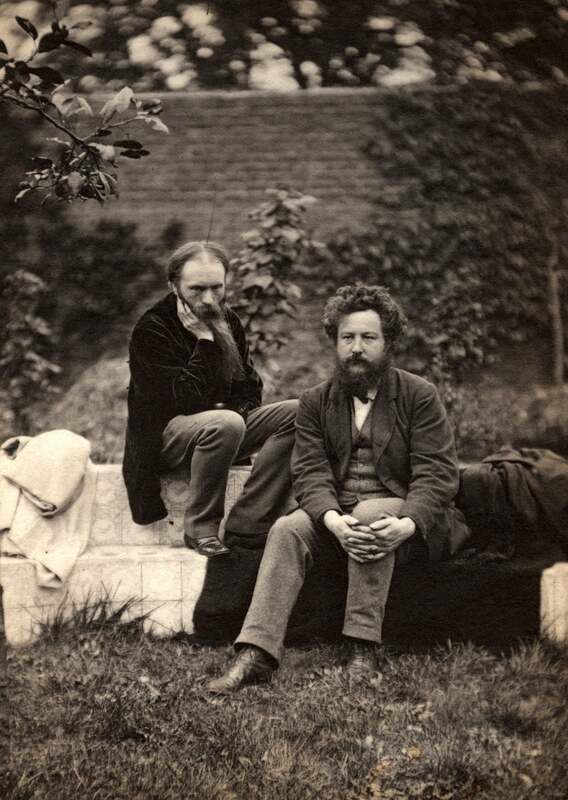 Sir Edward Burne-Jones; William Morris, by Frederick Hollyer, 1874, National Portrait Gallery, London. Sir Edward Burne-Jones, The Depths of the Sea. 1886. Private Collection. Sir Edward Coley Burne-Jones, Bt, ‘The Golden Stairs’ 1880, Tate. Sir Edward Coley Burne-Jones, Bt, ‘King Cophetua and the Beggar Maid’ 1884, Tate. ​Sir Edward Coley Burne-Jones, Bt, Love and the Pilgrim, 1896–7. Tate. Sir Edward Burne-Jones, The Death of Medusa (I), 1881-2, Southampton City Art Gallery. Sir Edward Burne-Jones, The Council Chamber, 1885-90, Marcus Leith and Mark Heathcote. Sir Edward Burne-Jones, Atlas Turned To Stone, c. 1878, Southhampton City Art Gallery. 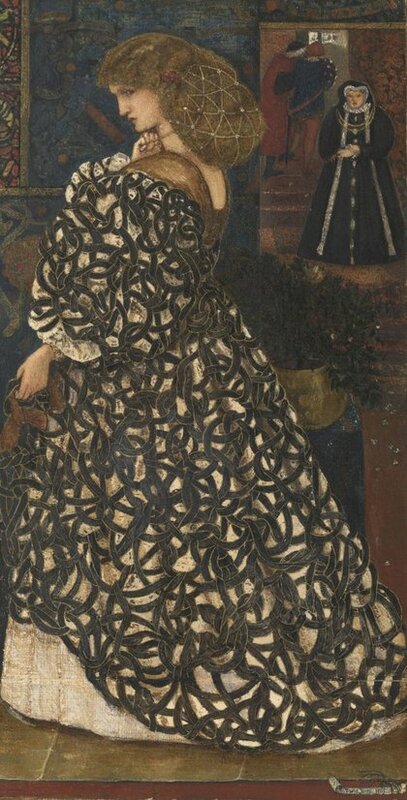 Sir Edward Burne-Jones, Phyllis and Demophoön, 1870, Birmingham Museums Trust. 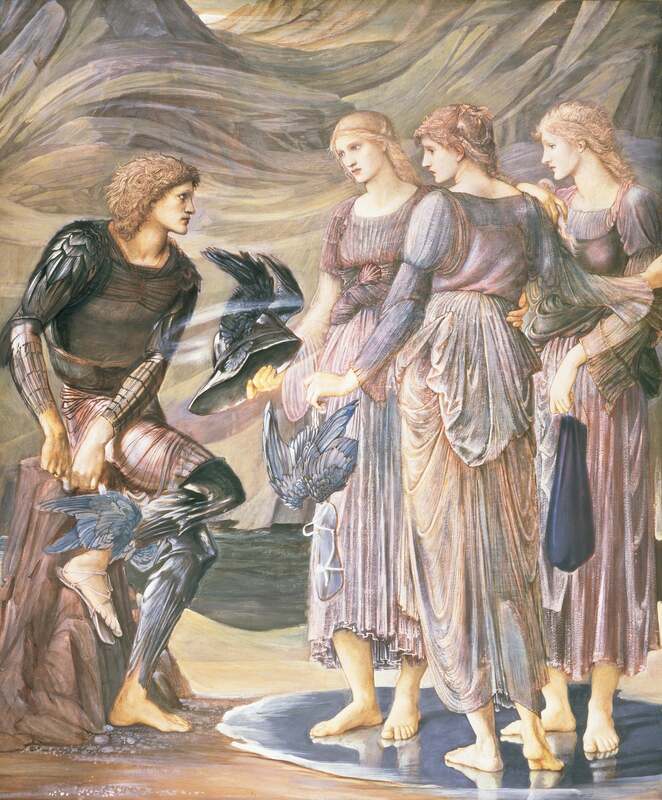 Sir Edward Burne-Jones, Perseus and the Sea Nymphs (The Arming of Perseus), 1877, Southhampton City Art Gallery. 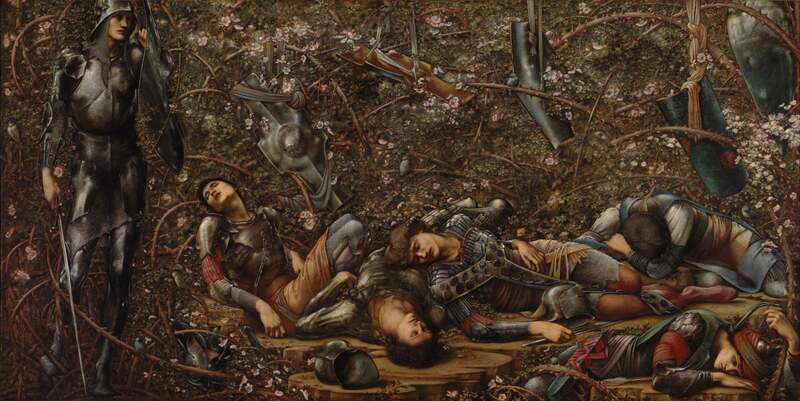 Sir Edward Burne-Jones, The Briar Wood, 1874-84, The Farringdon Collection Trust. Sir Edward Burne-Jones, The Calling of St Peter, 1857, Victoria and Albert Museum. 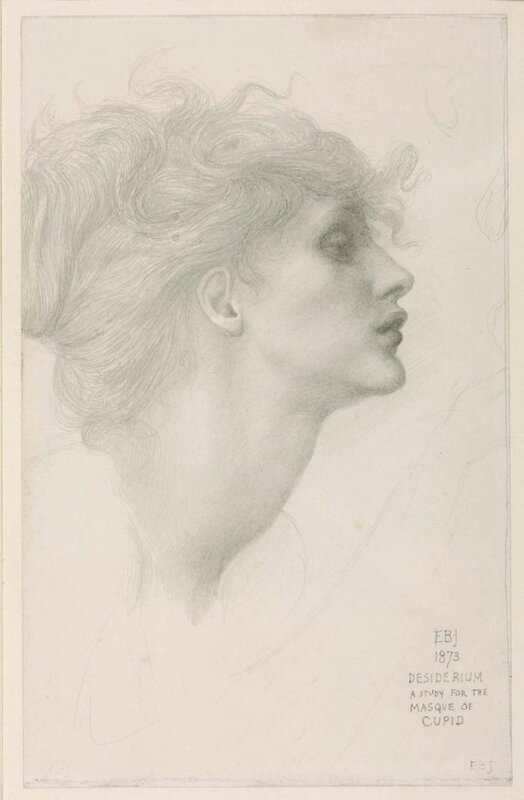 Sir Edward Burne-Jones, The Baleful Head, 1885, www.bridgemanimages.com.